Catherine Walshe, PhD of Lancaster University, Lancaster, UK talks to us about Palliative Medicine, the journal which she is currently the editor of. Palliative Medicine is a multidisciplinary journal which publishes articles from a variety of fields relating to palliative care including clinical trial data. Dr Walshe tells us how to access the journal online, follow via social media and where to download the latest podcasts. 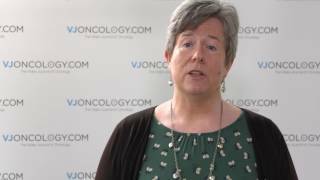 Recorded at the European Cancer Congress of the European Cancer Organisation (ECCO) 2017 in Amsterdam, Netherlands.